Boal & Co, the Isle of Man-based retirement products provider and administrator, has announced the launch of a new product it says is designed to enable IoM pension scheme holders to take advantage of a recently-announced new “pension freedom” regime on the island. The new regime was unveiled in February by Isle of Man treasury minister Alfred Cannan, following its passage by Tynwald, the IoM’s parliament. As reported, the new legislation will allow those whose pensions are held on the island to be able to begin to access them once they reach age 55, as was made possible in the UK under similar liberalising legislation that came into force in April 2015. The news of the launch of the new pensions freedom regime, which came into force on 6 April, followed a consultation launched in July, 2017 by the IoM government, which published the results on 20 February. 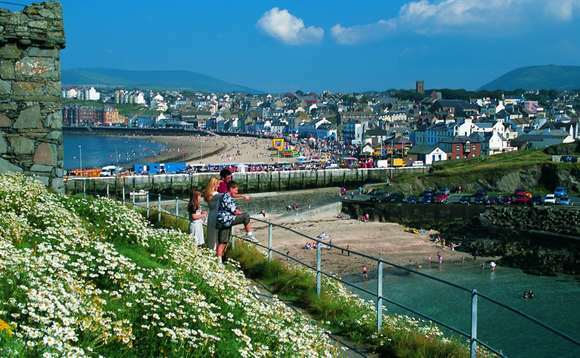 In a statement announcing the creation of its new “pension freedom scheme”, Boal & Co noted that while the decision to transfer one’s existing pension assets, a transaction that normally incurs costs based on the size of the pension, will always “depend on the individual’s circumstances”, the company believes that “the vast majority of Isle of Man residents” would surely benefit if all of their future pension contributions were placed in a scheme designed to enable them to benefit from the new pension freedoms. For this reason, it added, it has found a way to accommodate what it said is already emerging as a growing interest in pension-freedoms-friendly schemes on the Isle of Man among employees, HR and employee benefit managers by adding a “PFS section” to its flagship Rewards group personal pension product. This, Boal & Co says, will enable it to “offer both regimes under the same scheme”. “What this means is that employers and individuals will be able to hold their existing pension funds under the old regime, and their future contributions under the PFS regime, both in the same scheme,” John Batty, technical sales manager, told International Investment. The new PFS option is available as of yesterday, Batty added. Boal & Co was founded in 1995 by Gary Boal, a Northern Irishman and actuary who was a familiar figure around the Isle of Man until his death in 2015. The company acquired Zurich Trust in September, 2016. Now headed up by chief executive Mark Kiernan, it has outposts in Gibraltar, Guernsey, Dublin and Jersey, and currently administers more than $11bn (£7.88bn) in pension trustee assets. Note: This story has been updated to make clear that the Boal & Co pension freedom scheme is for Isle of Man residents only, and is not intended for British pension scheme members.